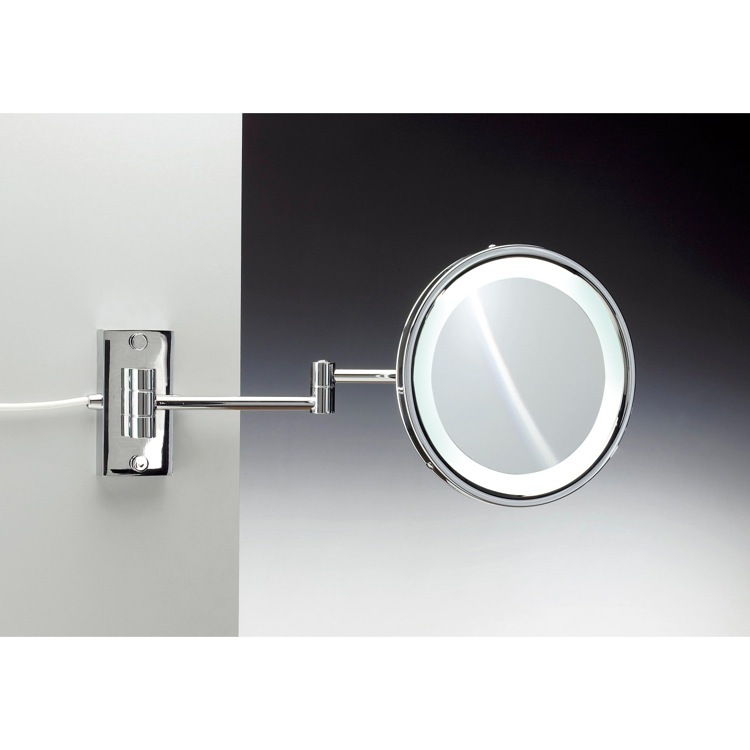 Perfect for contemporary bathrooms, this wall mount mirror is available in four unique finishes; chrome, gold, chrome and gold, or satin nickel. With either 3x or 5x magnification, its easily customized to suit your exact needs. Made of high-quality brass, this high-end designer mirror comes with built in LED light technology. Made in Spain, its trendy round shape instantly adds style to your bathroom.